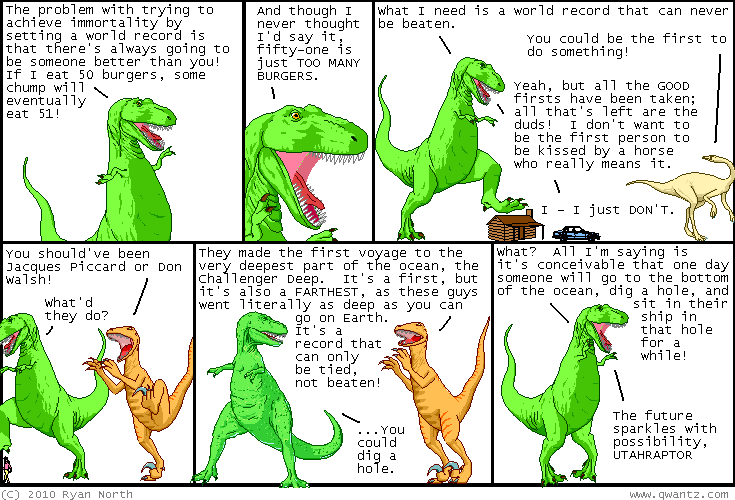 Dinosaur Comics - April 26th, 2010 - awesome fun times! –This Darth guy has not been in his son's life AT ALL! April 26th, 2010: Calgary Comics Expo was tons of fun! Thanks so much to everyone who came out, and to the expo itself, who flew me out and put me up in a hotel! In my brief experience in Calgary everyone there is super rad, and I feel like that's a pretty good observation to come home with.